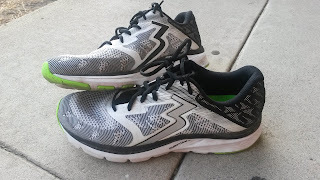 The original Brooks Launch was one of my favorite lightweight trainers. The upper was a little stiff and some of the overlays were heavier than they needed to be, but the sole made the shoe the epitome of a do it all lightweight trainer. Races, workouts, long runs. All could be done. Then the Launch went out of commission for a while (we all know) and when it returned... it was not the same shoe. 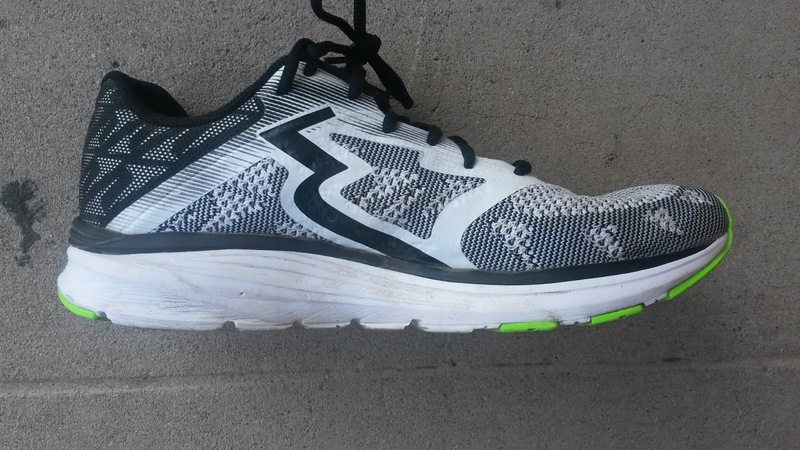 Suddenly it was softer, heavier, had a higher heel drop and shifted to being more of a trainer than the versatile lightweight trainer and marathon racer. So I moved on. Then came the 361 Spinject. It was drastically different than anything I had seen from 361. A full length QU!CKFOAM midsole, a knit upper, an 8mm drop, a little more heel bevel... Yet with all the new things, it remains a simple but effective ride. What do I mean by that? Let's talk. This is the first time 361 has utilized a knit upper. I have had mixed experiences with the variety of knit uppers I have tried with some being great and others... not so much. The knit upper of the Spinject is different in that it fits snuggly at first but is very supportive. Initially I thought the upper would be too snug, but with 20 miles it has adapted to my foot very well. Over almost 100 miles the upper has remained supportive and holds the foot well. 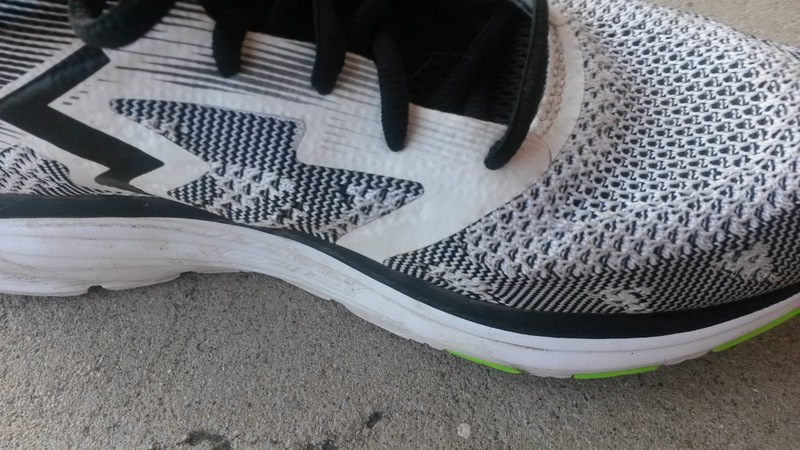 Even at higher speeds during workouts, the upper holds the foot down well, which is rare in knit upper. Often with the looser knits, my foot will slide around and sometimes almost off of the sole with turns at speed. This has not happened with the Spinject, which I have used for everything from easy runs to long tempos and fartleks. The upper is not the most flexible upper out there, but remains snug and thicker to hold the foot down. 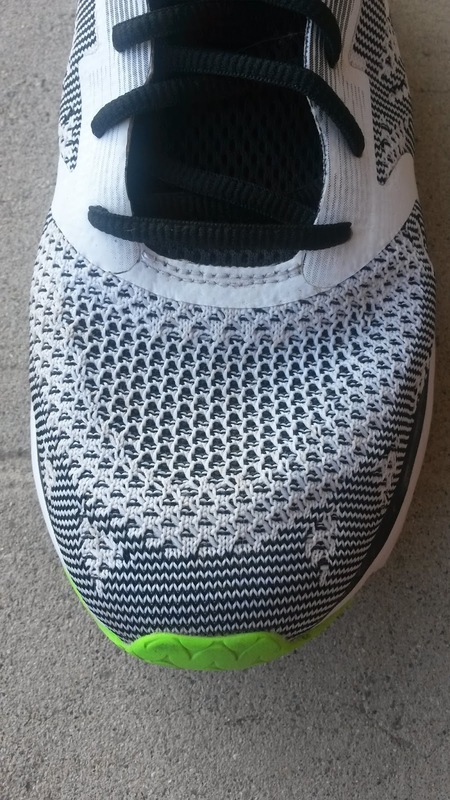 The knit upper runs the front 3/4 of the shoe. The rear portion has a heel counter that extends almost into the midfoot that adds some additional stability to the heel. 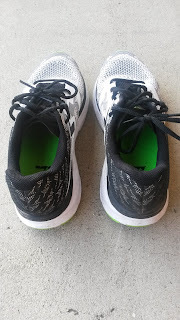 There is additional cushioning in the heel aspect of the upper and I have not had any issues with my calcaneus getting irritated by the counter. The Achilles area has been designed halfway between the older achilles notch and the more recent curve over that area. 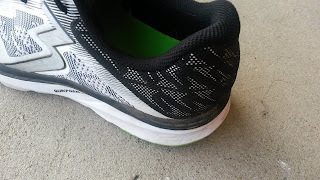 I have talked with a few footwear developers and their reasoning for adopting a more curved Achilles area is they claim it holds the heel better. Whereas I generally get concerned that type will put excessive pressure on the lower achilles tendon. 361 has done a great job with their shoes on this in that there is no notch but the top is a little flatter with a softer bit of upper to give a little room for the achilles. I have not had any rubbing or chaffing issues with this shoe but have had limited barefoot use. I think if you are used to that sort of thing (sockless) you should be fine. The fit is true to size. I wear a size 10 and that is exactly the size I needed in the Spinject. The toebox is a little more traditional as the toe curves inward a little that made the shoe initially fit a tiny small. As the upper relaxed a bit, the shoe has grown no me and fits very well. The fit overall is fairly average if a tiny bit snugger than normal, giving it a slightly more performance fit. The Spinject is the one of the first times 361 has used a full length QU!CKFOAM midsole. 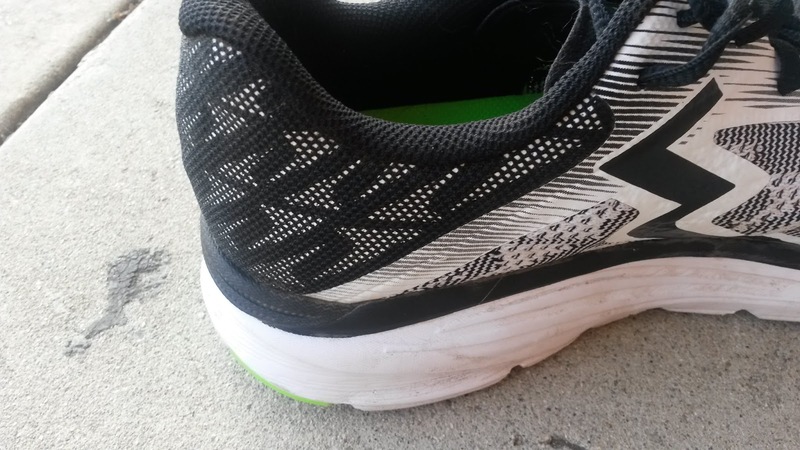 This results in a very consistent ride throughout the shoe. No matter where you land, you know what you are going to get. I say this is simple in a positive manner. Just like the original Launch, the midsole of the Spinject does its job and lets you focus on the run. The full ground contact outsole further contributes to the consistent feeling and adds a a bit more of a stable feel on top of that. The ride of this midsole is a on the firmer end but not overly so. It is firmer in such a way that it remains very stable and protective over long miles but responds very well when the pace picks. The slightly firmer feel is one of the things that contribute to the Spinject being so versatile. 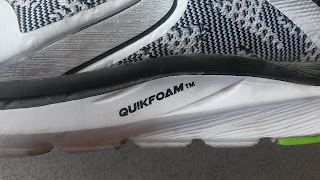 The QU!CKFOAM is responsive in a way that helps you pick up the pace but not so soft that it feels unstable (like Boost). The sole feels great over long runs as it remains remains stable. The sole remains responsive so that during long tempos and fartleks the shoe helps you keep going despite fatigue. I have been continually surprised every time I have taken the Spinject out for a workout that it has performed well. No matter what I have thrown at it, it has done well and tolerated paces that I would normal do in lighter shoes. Long tempo, Farltlek, Hills, etc. It is not the lightest shoe, but it is in that perfect mid 9 oz range (9.6 oz per Running Warehouse) that makes the shoe able to handle distance racing and training miles like the original Launch. I was surprised to see that number after trying the shoe on as it feels like it runs in the high 8 oz range. 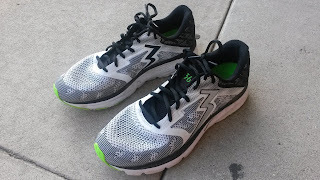 The 8mm drop makes the shoe feel a bit faster but is not so low that the calf gets overly fatigued with longer miles. Not that drop is consistent as the temperature, weight, speed etc, all influence what it actually is. However I really like that so many companies have shifted to more of the mid range drop. Too low for a majority of people may place them at risk for achilles issues based on the footwear environments we have grown up in. Too high may place abnormal forces in certain areas. I applaud 361 for finally taking that jump and hope to see them continue to do so in moderation. The extensive flex grooves in the shoe give it appropriate but not excessive flexibility. 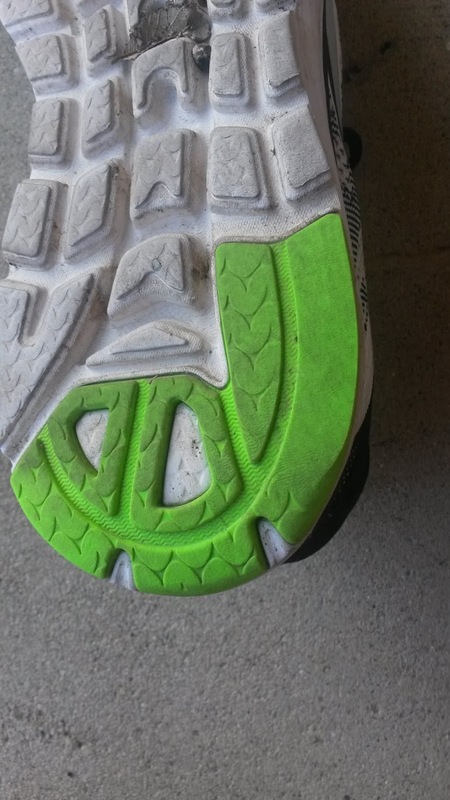 The sole is snappy but still flexible due to the grooves being somewhat shallow. The shoe flexes and rolls very nicely with the gait cycle. The grooves also grip decently well on trails and this has been my primary training shoe for the various trails on Mt. Baldy recently. This is not a shoe I would use on aggressive trails, but the grip is great for simple trails and fire roads. My favorite part is that these grooves stop in the posterior lateral heel. In the past, certain companies added additional flexibility here and called it "crash pads"... which may actually create a more unstable landing environment. The mild heel bevel and solid posterior lateral heel means any landing posterior is stable but still helps you roll forward. I again applaud 361 for moving to slightly more heel bevel to smooth out the ride. 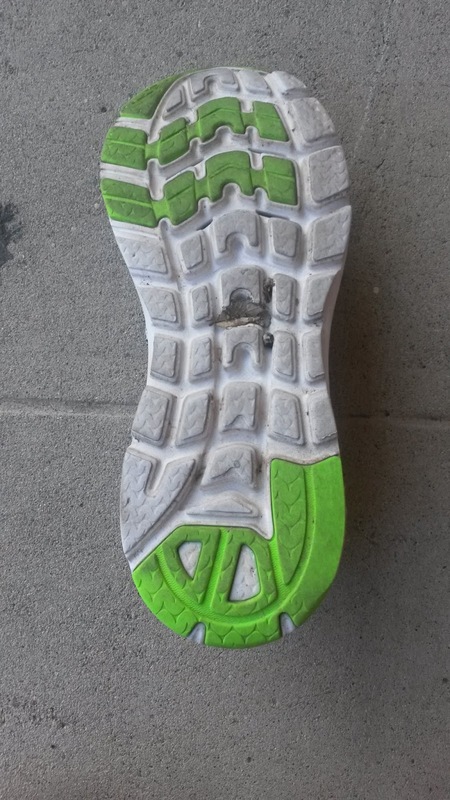 The heel counter extends somewhat into the midfoot, offering possible increased rearfoot stability. I appreciate the full ground contact midsole with decent flexibility, a consistent full contact sole, the upper the holds the foot without being too tight and more. I was surprised at how stable the shoe felt and I attribute this to a couple things. The sole is a bit firmer, the upper holds the foot well and the slightly extended heel counter. 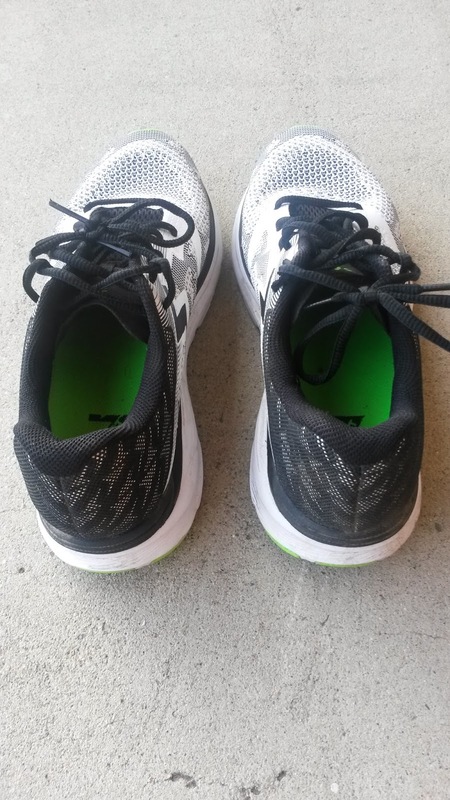 At first when I put the shoe on I thought there was a higher aspect to the arch or insole in the posterior medial aspect of the shoe. 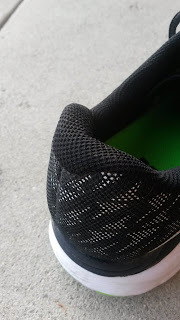 As I evaluated the shoe further, I found that the heel counter extends a bit farther anterior than most. The research on the true effects of heel counters on stability are limited. The previous belief was that you should stabilize the foot from the back, often with heel counters. Now we know that those with posterior instability may benefit from that, but you have to evaluate where the individual has instability or need of stability as every person is different. Some people may even have instability at the knee or hip being compensated for at the foot! Talking with fellow biomechanics geeks, we now know that heel counters don't quite do what we thought and a great deal of that may come from human variability. The point of this is that each person has unique stability needs. Some people may benefit from some midfoot posting or stability due to excessive mobility at the midfoot. However you need to make sure that excessive midfoot mobility isn't a compensation for limited mobility or loading elsewhere (I find that very commonly in my patients). Some people may need some forefoot posting or stability due to excessive mobility there, first ray issues (frequently from a weak peronues longus) or foot positional faults. Others may need heel stabilization due to calcaneal positional faults, mobility issues and so on. And all this depends on each person and each shoe. Different shoes will have different placements of different kinds of stability. In the case of the Spinject, the extended heel counter may provide additional medial stability to the heel up higher in the upper for those who need it. 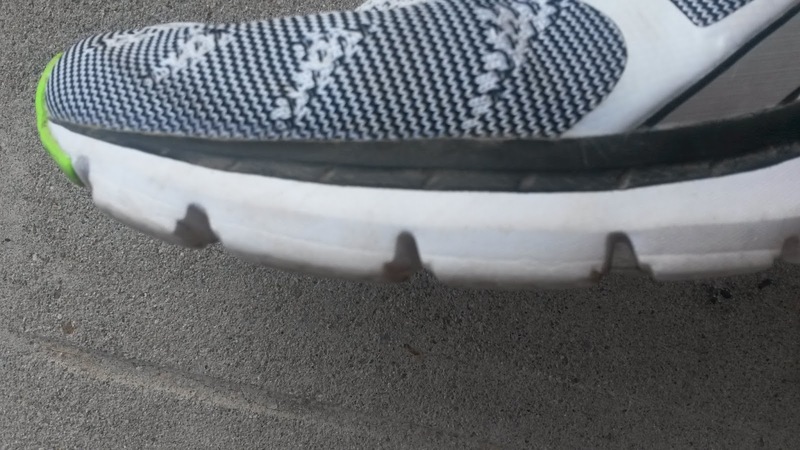 Those looking for this shoe be aware of this and may want to check this out. Per 361 there is supposed to be something called "Fitz-Rite" in the midfoot that helps wrap the foot. Unsure if I felt this but definitely felt the comfortable knit upper. The upper is another area that those with stability needs should take a look at. 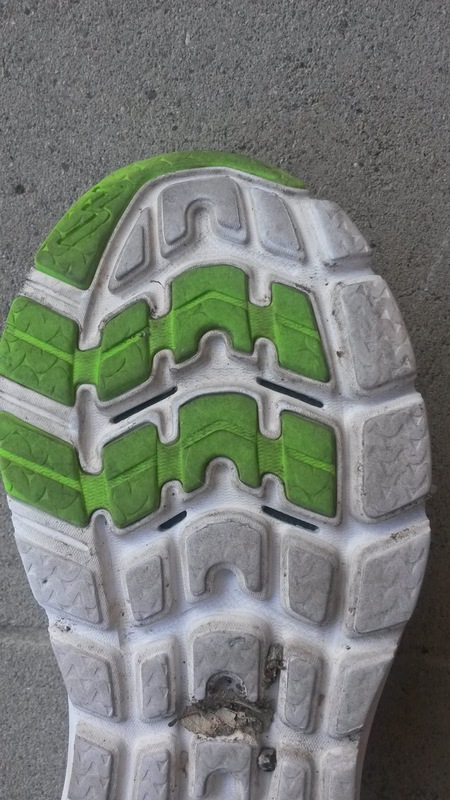 Do not just focus on the sole or the fact that the shoe may be labeled a stability shoe. 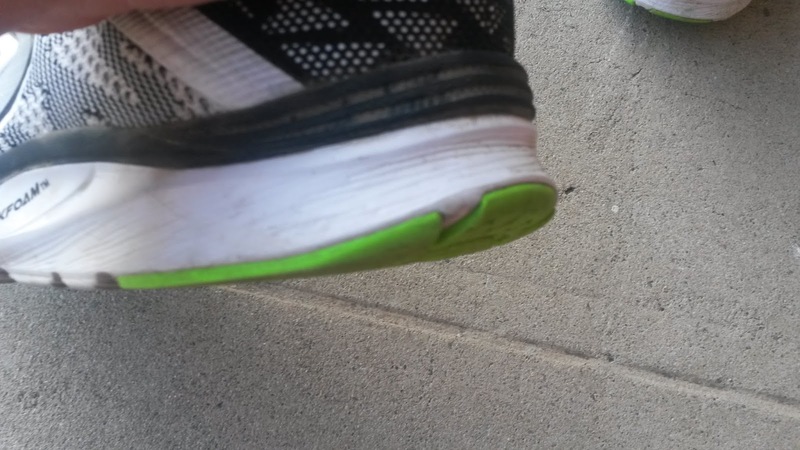 There are plenty of "stability shoes" out there that are in fact very unstable! The 361 Spinject is a fantastic demonstration of how wonderful simplicity is. The consistent QU!CKFOAM sole combined with the moderate consistency of the sole, the midlevel drop and the simple upper make this shoe my first choice for a variety of runs. The 9ish ounce weight combined with the slightly firmer and responsive midsole make this shoe great for everything. 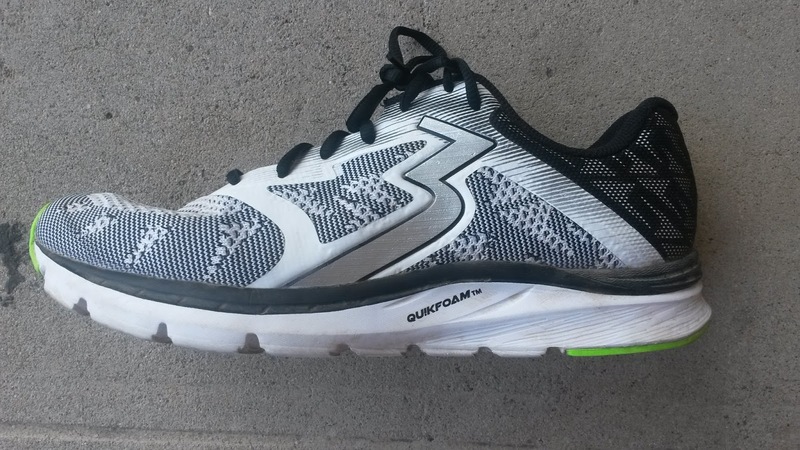 I have used this shoe for everything from long runs, trail runs, long workouts and short workouts. If I did an impromptu marathon this would be my first shoe choice to get me through the event a little faster without banging me up too much. I am very excited with this new offering from 361 and look forward to their continued evolution as I think they are moving in a great direction. ***Disclaimer: These shoes were provided free of charge in exchange for a review. This in no way changed or influenced the honesty of this review. I put at least 50-75 miles on trainers and 25 miles on racing flats. Currently my pair of 361 Spinject have 94 miles on them. A big thank you to 361 USA for sending these to me.